Dexter Daily: Dexter Spin-off Update at TCA 2016: "Maybe There Will Be a Time, But Only If All the Stars Align"
Dexter Spin-off Update at TCA 2016: "Maybe There Will Be a Time, But Only If All the Stars Align"
It was a Showtime day on Tuesday at the Television Critics Association winter press tour. Between others, Showtime execs. where asked again regarding a possible return of Dexter. And well... the news aren't exciting. Programming President Gary Levine said that there are no plans to do anything more with Dexter yet. "Not plans at this point. We'll do only if we can do it right and if there’s a reason for being. Maybe there will be a time... but only if all the stars align." 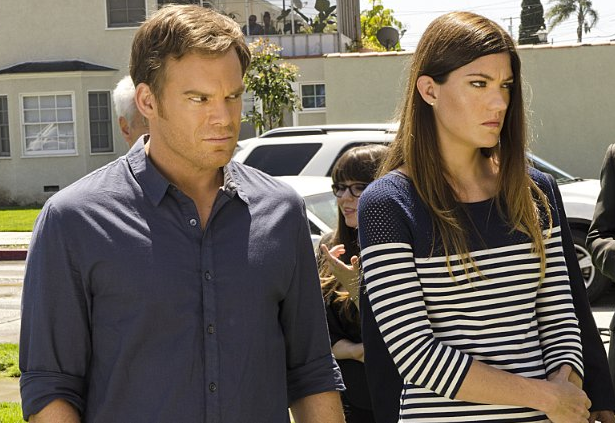 Levine also revealed that Dexter is "still blazing" on Showtime's streaming service.